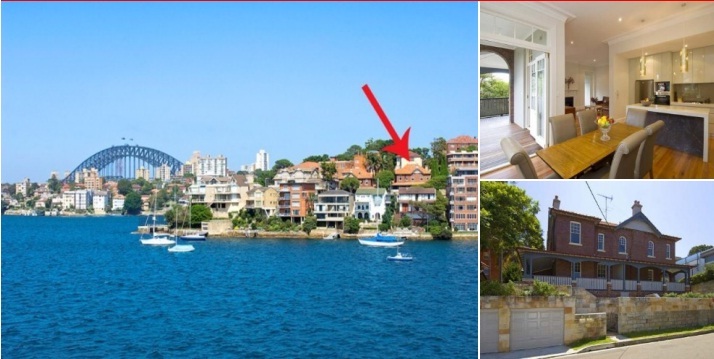 Neutral Bay is around 5 kilometres north of the Sydney central business district, in the local government area of North Sydney Council. Opposite the Hayes Street Wharf at the head of Neutral Bay is the Hastings. This building occupies part of the land belonging to Craignathan. The Hastings, also formerly known as The Salisbury and Milton is the castellated building at 2 Hayes Street. 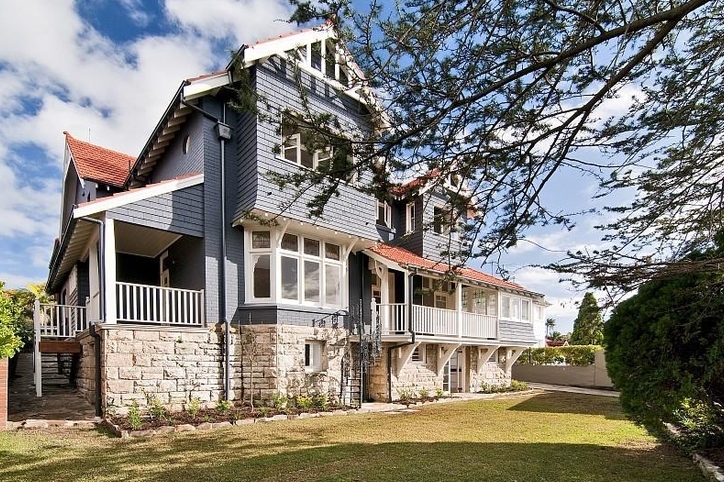 It was built in 1914 for Mrs Winifred Dodds (wife of mining agent and local resident William Dodds). The property was eventually sold in 1954 to Augustine Thomas Regan (boardinghouse proprietor). In 1956 it was acquired from Regan by the Commonwealth of Australia and utilised as a RAAF Support Unit. 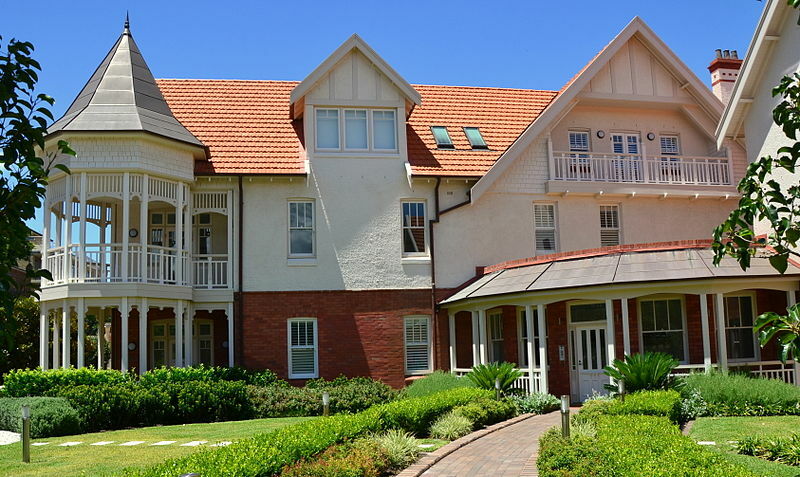 The property was sold into private ownership in 1986 and additional apartment accommodation built. Hastings is a conspicuous building, greeting ferry passengers arriving at Hayes Street Wharf and providing a pleasant backdrop to the harbourside reserve, shopping centre and ferry wharf. 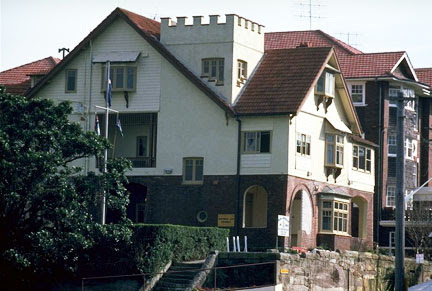 The Hastings boarding house is indicative of the building boom of the early 1900s, which resulted in the creation of a coherent architectural styled suburb, the Federation Neutral Bay, for which, to this date, the suburb is well known. 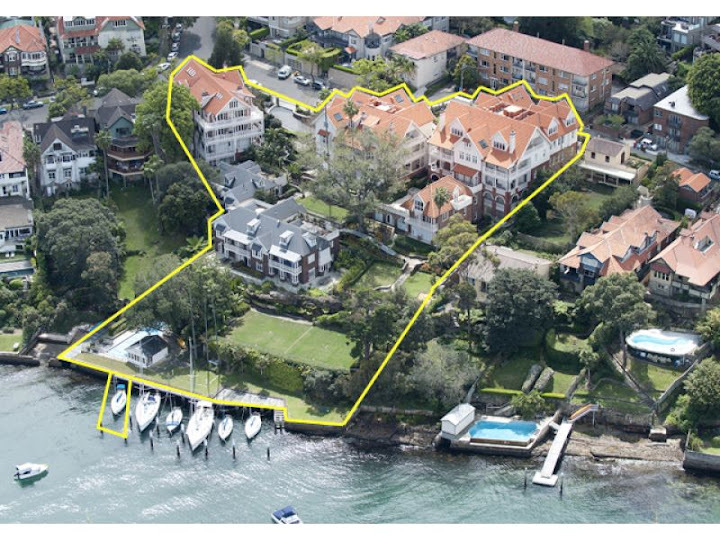 Being on the waterfront, Hastings formed a gateway to this important suburb and it would appear that it was probably one of the first large Federation period houses to have been erected on the northern foreshores of Sydney Harbour. 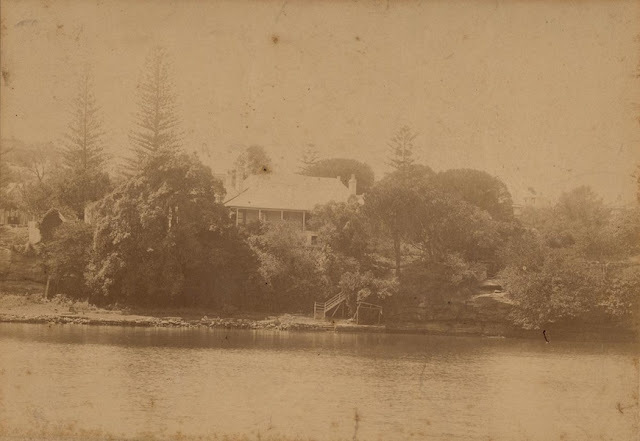 Views of water-front residence, Craignathan, Neutral Bay, now at Hastings Street Wharf, replaced by the HastingsCraignathan was originally a large one-storey stone residence with attics and large cellars in the basement. Kurraba Point was originally named Ballast Point and formed part of Alfred Thrupp’s Farm of 700 acres granted in 1814. Formerly called Thrupps Point Road, Kurraba Road was originally a rough dirt track cut through the bush and providing access to a small number of properties on Kurraba Point and above ShellCove. Walter Liberty Vernon, Government Architect, a resident of the area and Alderman of the Borough of East St. Leonards was responsible for changing the name to Kurraba Road. 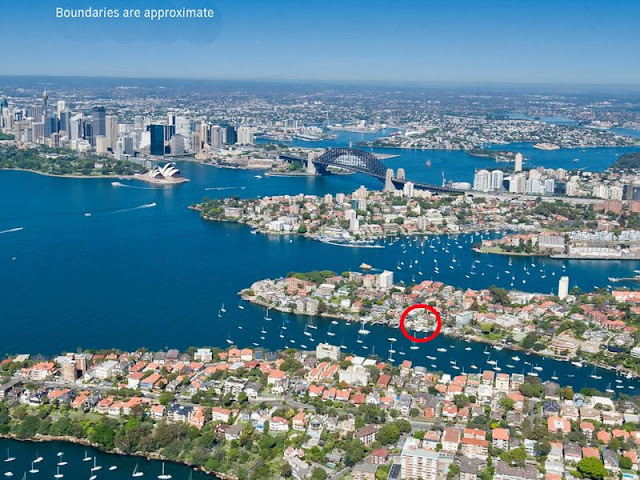 Development of the Kurraba Point area and Neutral Bay was hampered in the early days by the lack of communication with Sydney Town. 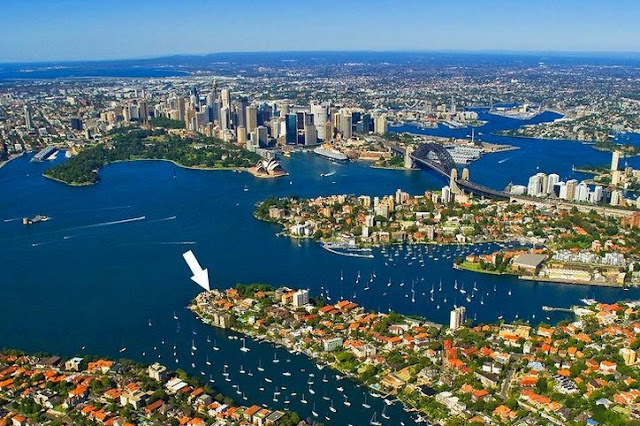 Neutral Bay was far enough away from Sydney Cove to discourage convicts from escaping on these vessels and to keep possible enemy ships at a distance from the main settlement. 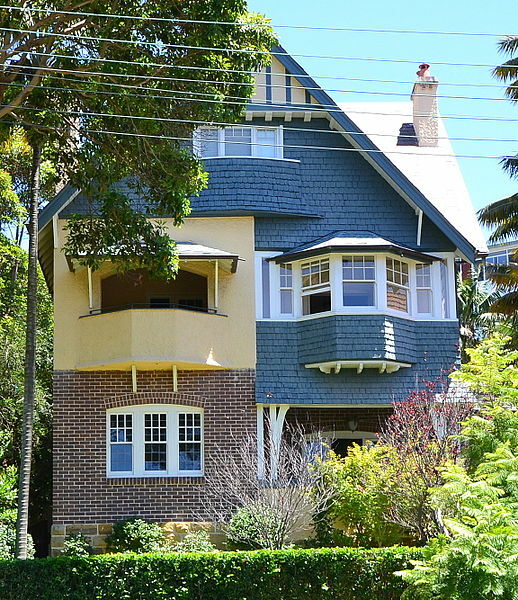 By the beginning of the 20th century, Neutral Bay and Cremorne were developing as “alternative society suburbs”, populated by the kind of people who were attracted to the Arts and Crafts architectural style that was in vogue at the time. 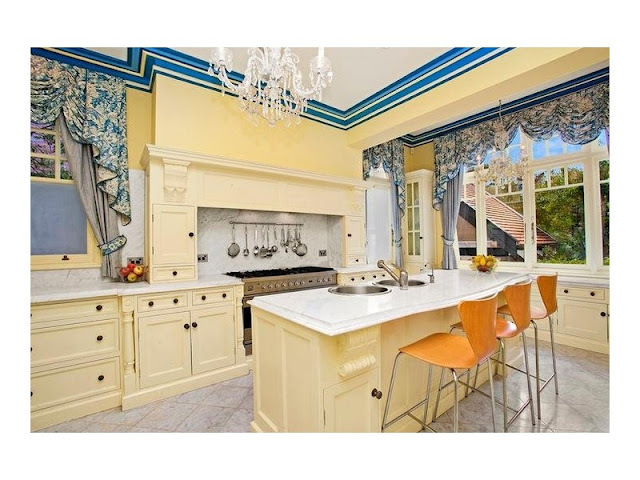 This style was an attempt to get away from mass production and give homes the “human touch”. Notable examples soon appeared in the area. 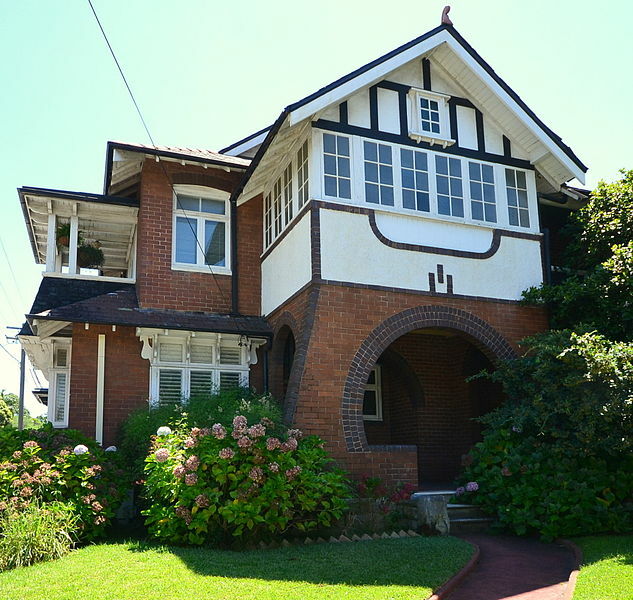 Brent Knowle, in Shellcove Road, was designed by Bertrand James Waterhouse and built in 1914. 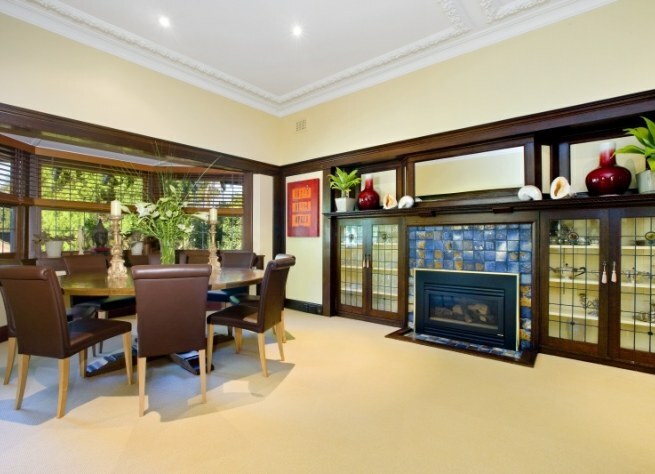 It influenced home design in the area for at least the next fifteen years and has a state heritage listing. A different style was used for The Cobbles, also in Shellcove Road. Designed by Peddle and Thorp and built in 1918, it made great use of natural stones and pebbles to achieve the desired look. 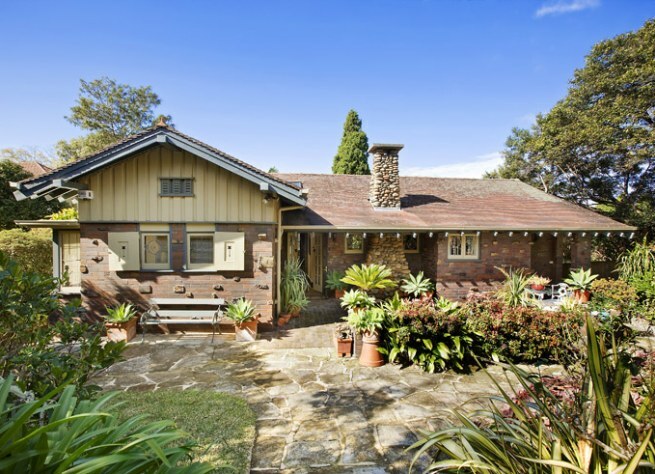 It is an Australian interpretation of the California Bungalow style and has a state heritage listing. The Gables, in Spruson Street, was another Waterhouse design and was built in 1920. 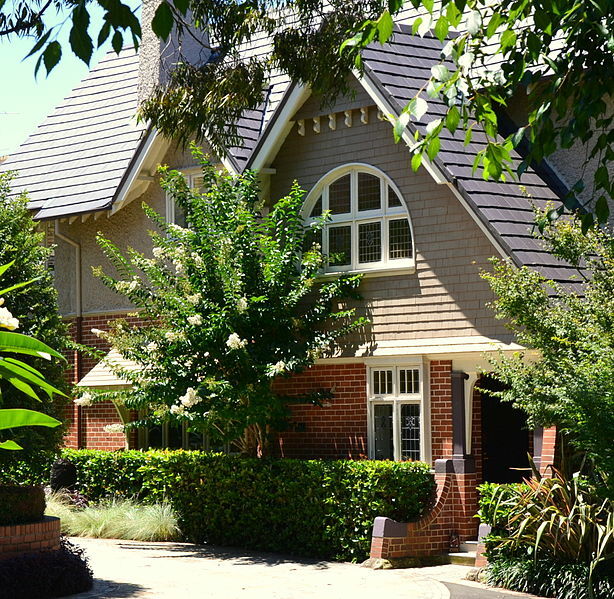 It was influenced by the “shingle style” which was brought to Sydney by Horbury Hunt, and featured prominent gables and extensive use of shingles. More Waterhouse designs appeared in Shellcove Road in the vicinity of The Cobbles and Brent Knowle. An outstanding example is Ailsa, which was designed by Waterhouse for Capt. Robert Craig and built in 1908. It has a state heritage listing. 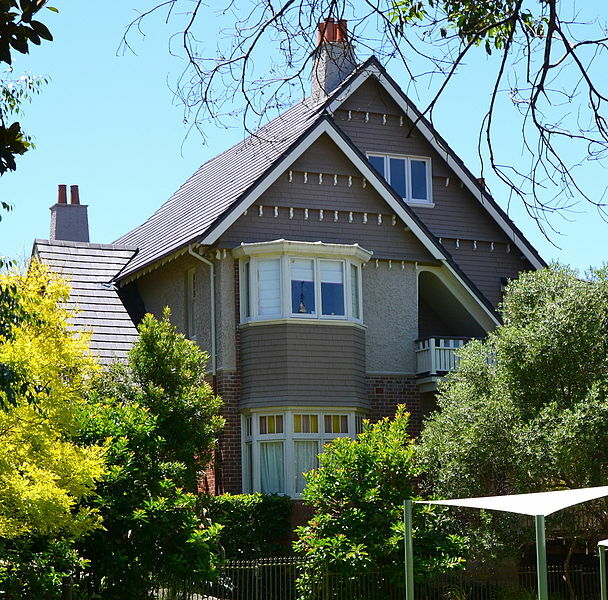 Along with Keynsham, St Anne’s and Gundimaine House, these homes form a significant heritage group and have a state heritage listing. A nice group of early Federation houses mostly erected between 1885 and 1906. Of particular note are Wavertree (65) and Lanlyth (55). 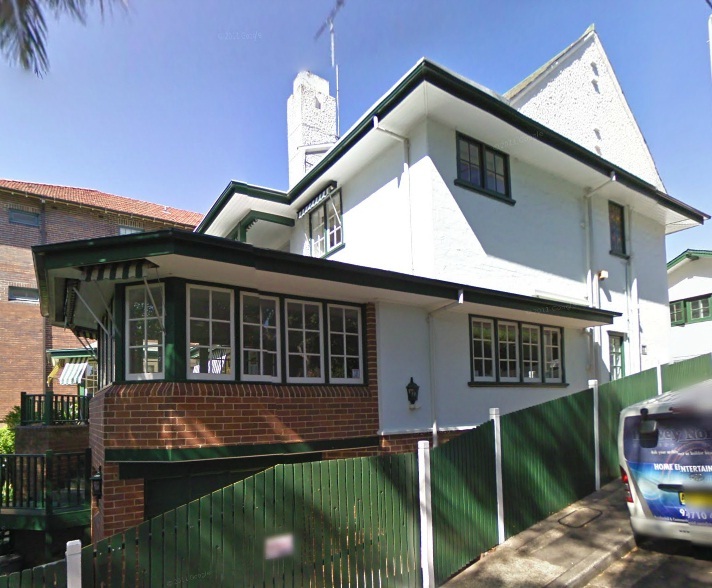 The land on which this group of houses is erected was formed from the subdivision of Clee Villa, one of the earliest homes in Neutral Bay, formerly located in Lower Wycombe Rd. 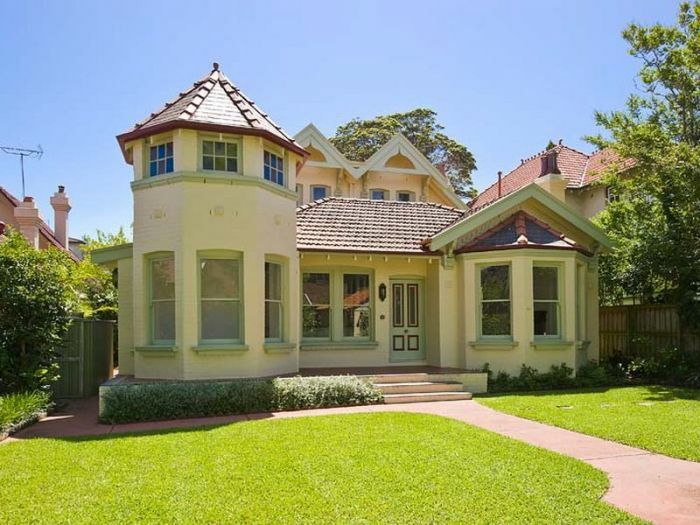 The impressive Victorian Villa residence on the intersection of Wycombe and Kurraba Rds is one of the surviving houses designed by Walter Liberty Vernon, Government Architect and resident of Penshurst (house formerly located to the north in present Penshurst Avenue). 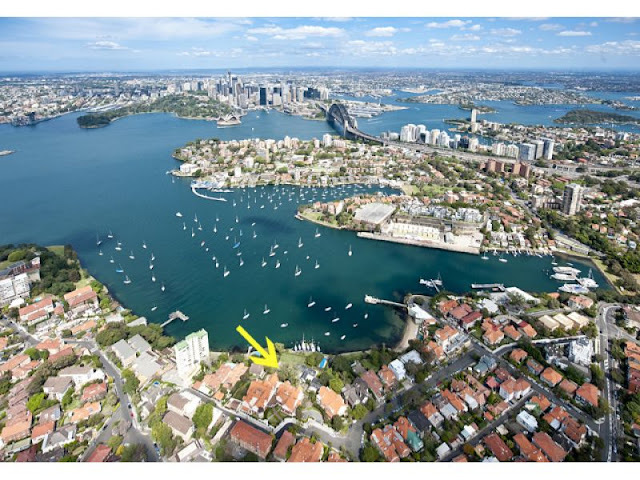 He was also a member of the Neutral Bay Land Company syndicate which promoted leaseholds in this vicinity in the late 1880s. 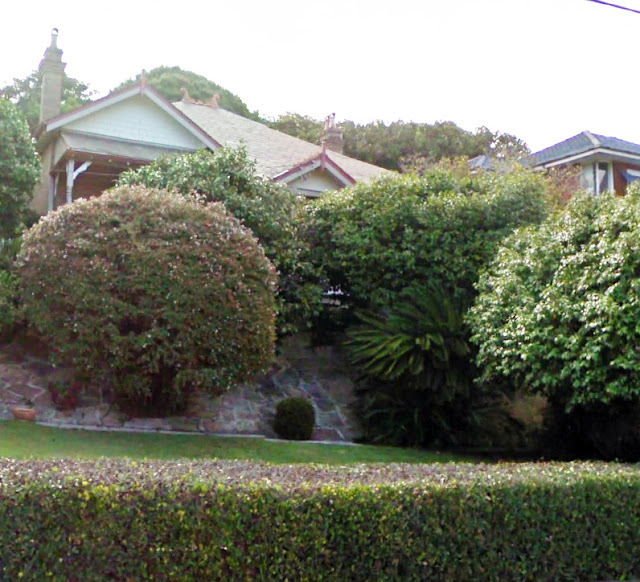 Like its neighbour Gingie, Waione is obscured from view from the street due to the flats built in front. This house was built in 1904 as the home of Colonel Alfred Spain. Alfred Spain was the brother of Staunton William (who incidentally lived next door at 176 Kurraba Road) and was born in 1868 at nearby Wallaringa. He was a famous architect, articled to architect Thomas Rowe in 1884 and entered into partnership in the firm later known as Spain and Cosh. 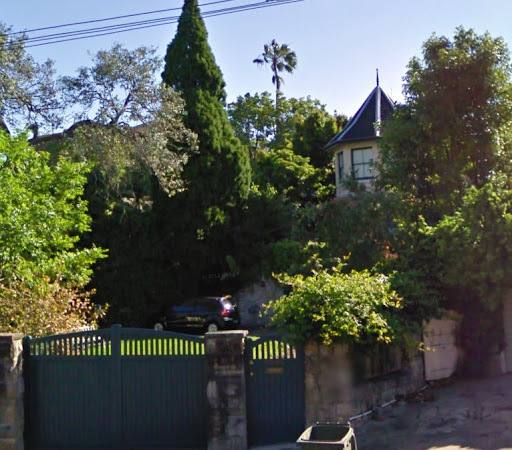 Barely visible these days as it is sited behind the Kirrilee flats, Gingie, built in 1906, was for many years the home from about 1911 of Commander Staunton William Spain. Staunton Spain was born nearby at Wallaringa in 1865 and later inherited that extensive property. He enjoyed a distinguished career in the naval reserve, served with the naval contingent to China, and in 1908 was appointed lieut-commander of the Royal Australian Reserve. Staunton was also a Notary Public and served as Marshall in the Admiralty Jurisdiction of the Supreme Court. He also served as an alderman of the North Sydney Council 1925-1937 and was a member of the local League of Ancient Mariners. Sadly, he outlived his wife Ella Jessie. He died on 8 September 1946 after being struck by a city tram. 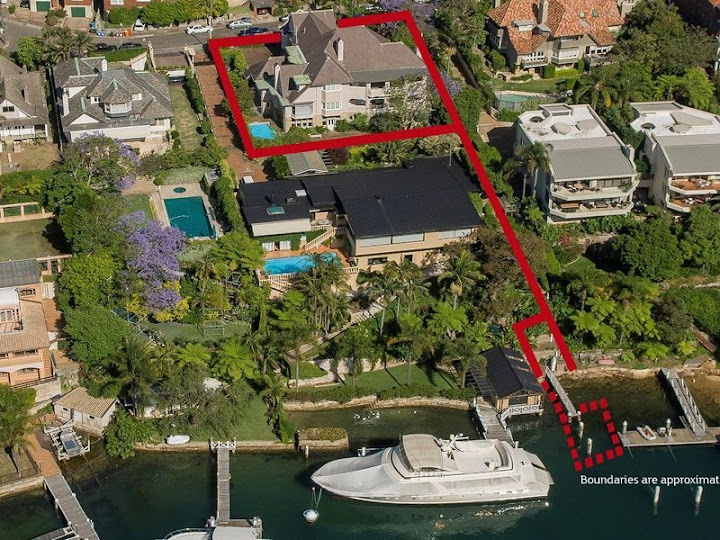 Kurraba Point Estate comprised land “placed at the imposing entrance to Australia’s fairest city, it has been subdivided into thirty-five residential allotments on which will be erected the exquisite homes of some of Sydney’s most influential citizens. Thus is decreed the destiny of Kurraba Point – gift from the lavish hands of Nature – the harbour’s last available priceless gem”. The house which was designed by architect, E. Jeaffreson Jackson in conjunction with S. G. Thorp for Professor Threlfall and completed in 1893. He named the house after the village in Lancashire where he was born. 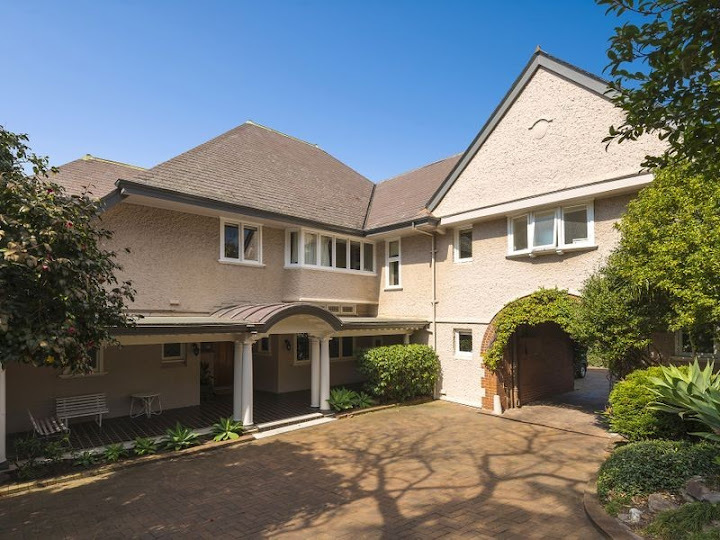 According to the North Sydney Heritage Study Review Inventory, “this is a dramatic and innovative architectural statement in the shingle style by one of the leading architects of the Federation era”. Architects Spain and Cosh added a billiard room with bedroom over was added to the garden front on the eastern side in 1913 for the then owner, A. H. Way. Hollowforth was then subdivided into two flats in the 1980s. The roof structure was partially damaged by a fire in 1994 but subsequently reconstructed to original detail. Of particular note are the undulating stone garden walls that surround the symmetric picturesque design. Note the shingled wall surfaces, numerous stopped hips, dormer windows and massive brick chimneys on the roofline and exposed timber beams of the projecting first floor. 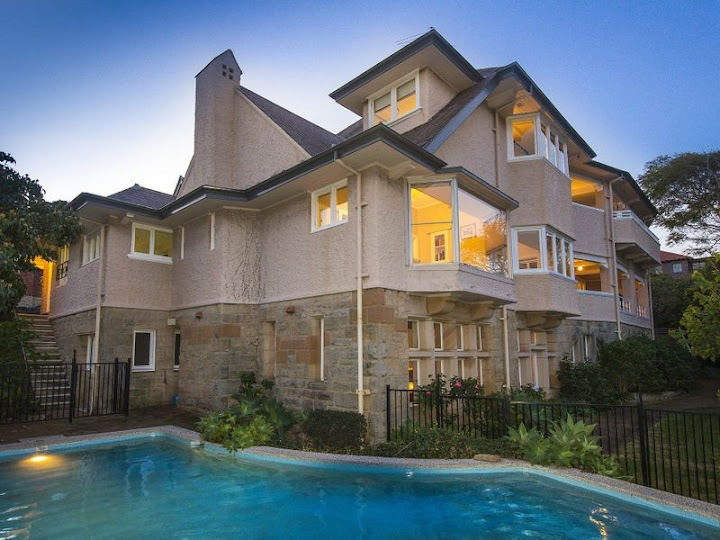 “Wallaringa Mansions’ is an exclusive private estate nestled on Sydney’s world-famous harbour foreshore. 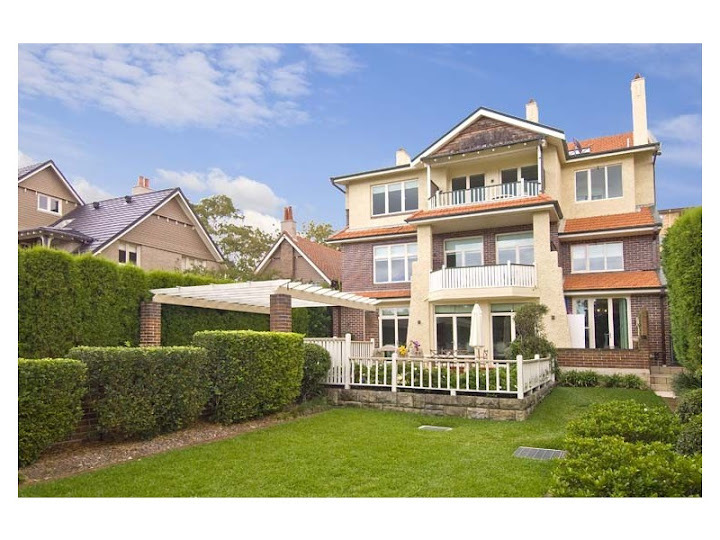 Set amid extensive parklike gardens, it enjoys an absolute waterfront setting and is immersed in captivating harbour and city views over the tranquil shores of Neutral Bay. Prestige features of this unique address include a heated waterfront pool, deluxe cabana perfect for year-round entertaining. Crafted from only the finest materials and offering a sophisticated blend of refined architecture, state-of-the-art inclusions and cutting-edge technologies, Wallaringa Mansions is designed for the discerning buyer looking for a world class residence. 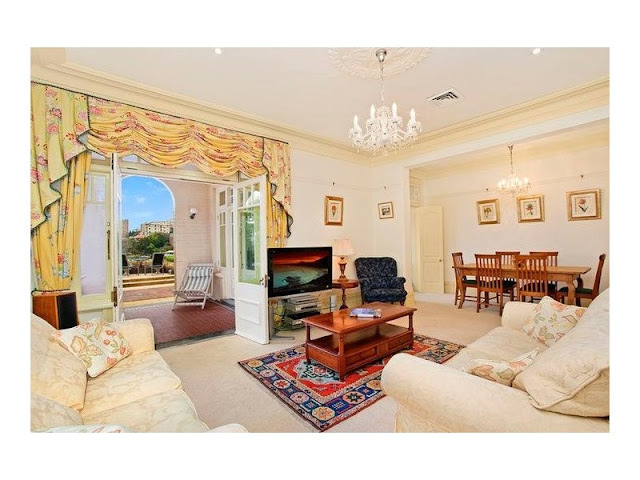 Gracious formal reception rooms with lounge and dining areas. Dalray was built in 1915/16 by J. Richardson and Son for Augustus Edmund Blair. The architect was Edwin R. Orchard. “A fine example of the work of B. J. Waterhouse. 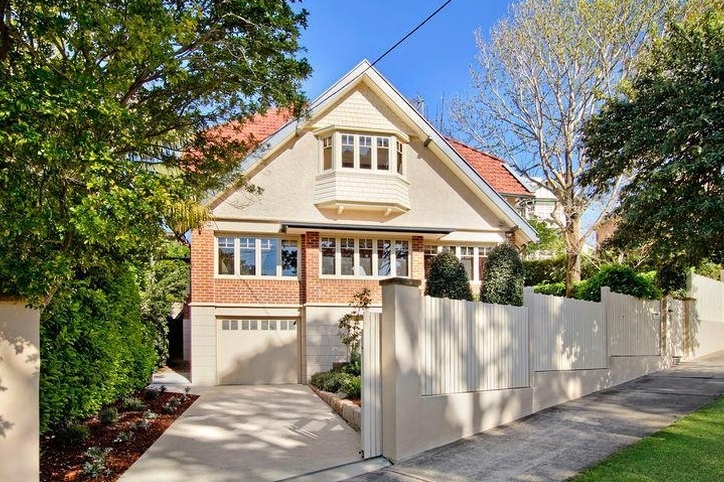 One of a collection of substantial early twentieth century houses of high standard that characterise Neutral Bay and contribute to the amenity of the vicinity. “St. Agnes is a federation arts and crafts house designed by noted architects Waterhouse and Lake in 1917 for William Arthur Chadwick, a land/engineering and mining surveyor. By the mid-1920s the house was described as two flats but still owned and occupied by William Chadwick. The National Trust states, “the house is a typical example of Waterhouse’s individual interpretation of the English vernacular style. Each elevation is dominated by a shingle-clad gable with wide overhanging eaves. The walls are finished in rough cast stucco”. Rycroft Hall was built about 1919 by local Cremorne builders Helier and Percy Harbutt. 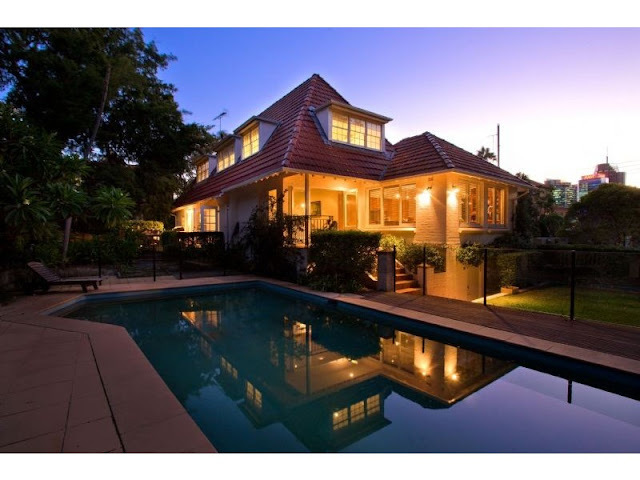 They sold the property to grazier John Ryecroft Colvin who in turn sold it to another grazier John William Luke. 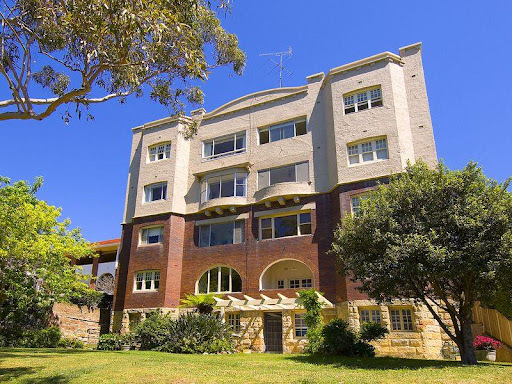 In the 1920s it was converted into flats. 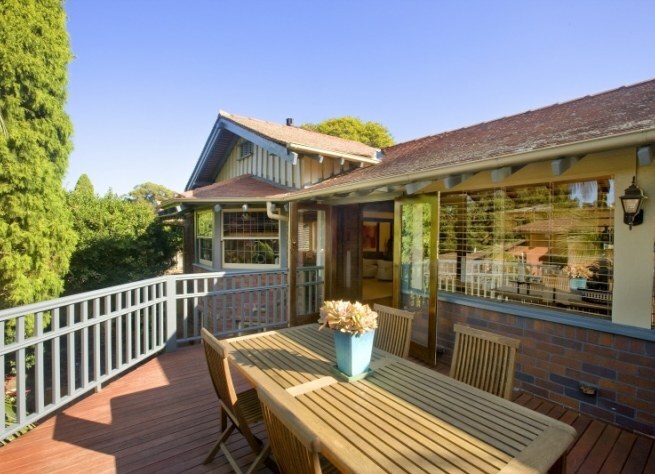 “Enjoying serene, sun-washed views of Shell Cove and out to the main harbour, this generous traditional family home offers a charmed lifestyle to discerning buyers. Built in 1921 as the home of Herbert. E. Pratten and family. Herbert E. Pratten was a member of the Australian senate 1908-1928 and his son H. G. Pratten was an all-round sportsman who played in the N.S.W. cricket team in interstate matches before World War I, but his career was interrupted by World War I. H. G. Pratten also held the number 1 badge for the Sydney Cricket Ground for many years. 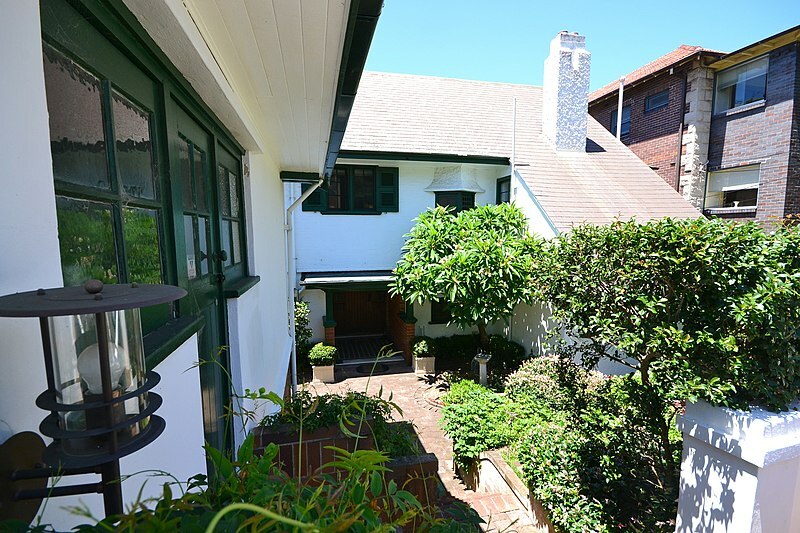 The house was originally a single storey building designed by architect, Frank Buckle, a friend of the Pratten family and the second storey was added in the late 1920s. The house was named for a district near Bristol, England where the Pratten family came from. “A relaxed yet impressively designed residence with mellowed multi-hipped slate roof forms, creating the perfect complement to its important neighbour ‘Brent Knowle’. 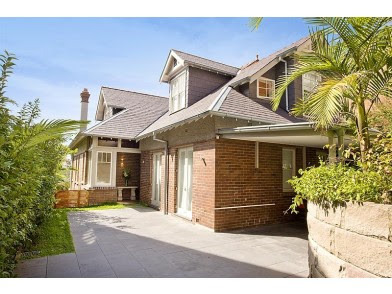 The house is a valuable streetscape element and makes a positive contribution to the identity of the Shellcove Road. “Designer/Maker: F Buckell & Spain Cosh Minnett. Brent Knowle is a large federation arts and crafts style house designed by noted architect, B. J. Waterhouse in 1914. It was built for Major J. H. Evans Booker and cost a princely sum of £10,000 to build at that time. The house was designed with servants areas, coach house and garage wing, on a sloping site with roofs pitched at 45˚. Herbert E. Pratten bought the house about 1917. The house is named after a district near Bristol, England where the Pratten Family came from. It was for many years the residence of H E Pratten, M P, a former Commonwealth Government Minister for Trade and Customs. 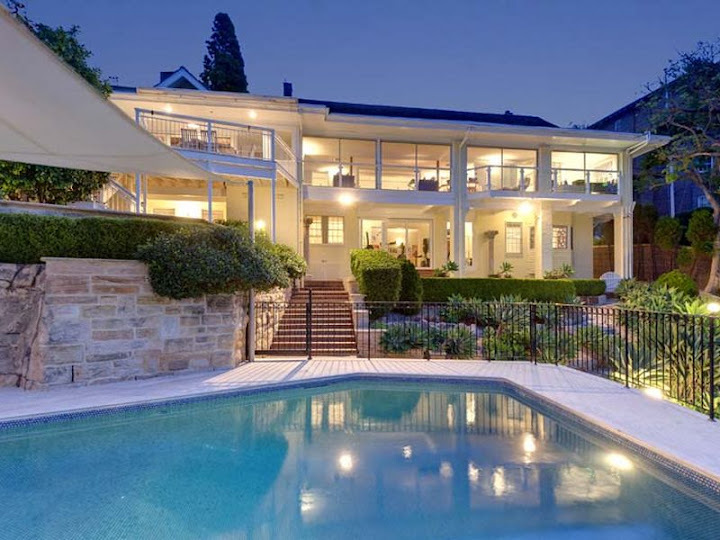 “A picturesque early 20th century gentleman’s residence by an eminent Australian Architect. It is perhaps his most important early work & clearly manifests the influence of the English Arts and Craft movement. The house is well related with its harbourside site through the use of fluid roof forms which tie together the residence, service wing and front stone wall. Waterhouses’s skilful use of scale and proportion, colours which are not harsh and textured surface treatment mark him out as an early 20th century architect of importance. “The elevations are composed of slate hipped and gabled roofs, a turreted enclosure to a spiral staircase, casement windows and carriageway arch, roughcast walls with sandstone foundations and front wall. 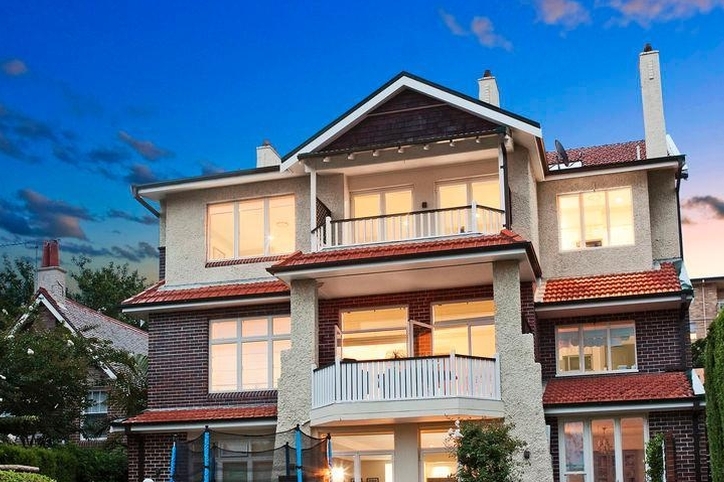 Further interest is added by the use of face brickwork and unusual chimney detailing. 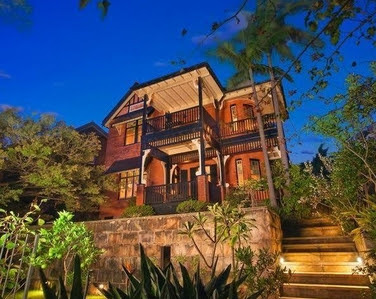 An imposing turn of the century residence retaining much of its period detailing intact. The house together with its neighbour Brent Knowle, dominate the eastern side of Kurraba Point, overlooking Shell Cove. Built in 1908 for Capt. Robert Craig to a design by Architect B J Waterhouse. The external surfaces are finished in rough cast stucco with drip moulds to window heads and finished at the sandstone base as a continuous flared string course. An Edwardian palm garden remains near the front door which is an asymmetrically designed entry featuring a balcony plus a bay window to the stair-landing. Good example of a Federation bungalow, neatly detailed and in original condition. 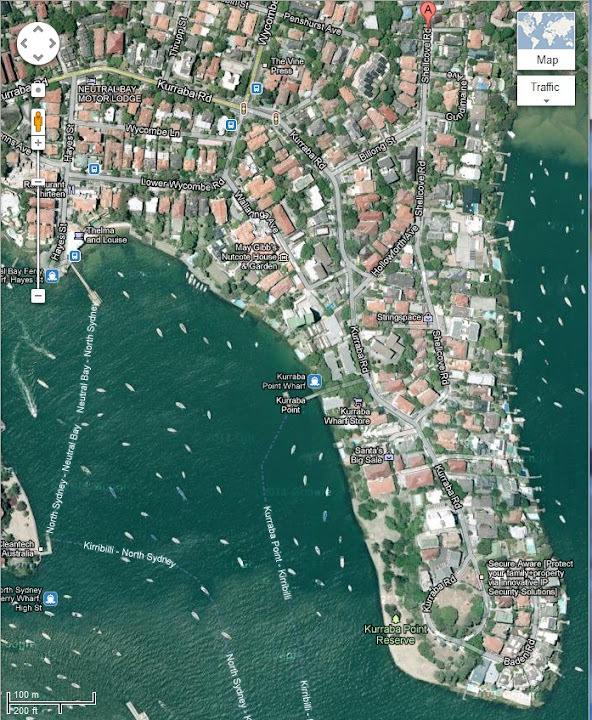 It is an example of a few development which is characteristic of the area and contributes to the picturesque qualities of the peninsula. 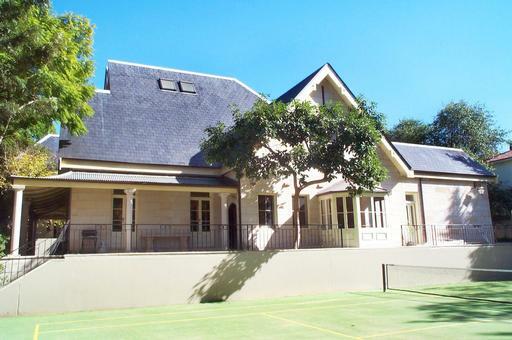 “Single storey brick house with hipped slate roof featuring apex finials, projecting offset gable with shingled end and central gabled pediment over entrance to verandah which features timber posts, brackets and balustrade.This building is designed in the Federation Bungalow style. An excellent intact example of B J Waterhouse’s early domestic commissions, the house is well related to its site and garage as well as assuming an added importance as it culminates the view down Billong Street. The building is an L shaped in plan which is created by the dramatic extension of the gabled slate roof plane down to define an entry courtyard focusing onto the brick-paved entry. Further interest is generated by the angled oriel window, final ridgecapping, gable air vents, window shutters, chimney together with the well related garage and front brick wall. The house is well maintained and is painted in what appears to be its original brown and white colour scheme. 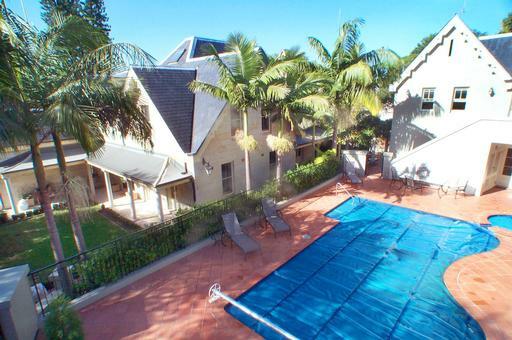 A two storey house with all the larger main rooms away from the street overlooking Shell Cove. There have been some internal alterations downstairs. This building is designed in the Federation Arts and Crafts style. “An imposing residential design in the Federation style by the architects Spain and Rowe made all the more prominent by occupying an island site. A local landmark within Shellcove Road and on the eastern side of the point generally. An excellent example of a substantial Federation Queen Anne residence with the main elevation addressing the corner of the site. The house is an exceptionally strong visual streetscape element. A substantial two storey residence of asymmetrical design with a service wing and outbuildings. The tiled multi-gabled roof is punctuated by bold chimney elements, verandah balustrade and gables are emphasised by detailed timber work while the entry is expressed with a gabled porch containing glazed wall tiles, bulls eye window and chequered marble floor tiles. 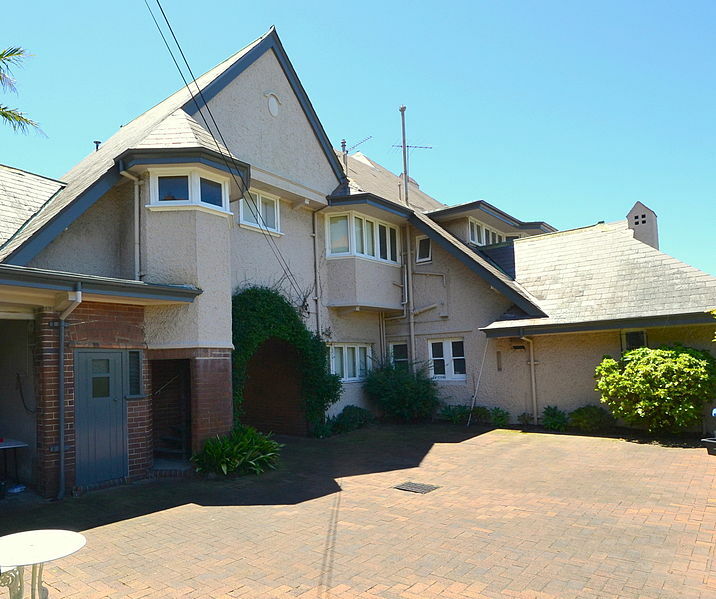 The entry is flanked by two projecting oriel windows glazed in diagonal leadlight, with upper shingled balcony and angled bay window and verandah to view to the harbour. Art Nouveau leadlight is utilised as highlight glazing throughout. The building is fully restored and generally intact, with some later additions related to conversion to flats. The entrance hall off a marble paved porch contains stained glass window and surrounds with fine Art Nouveau timber door architrave and stair screen.This building is designed in the Federation Queen Anne style. 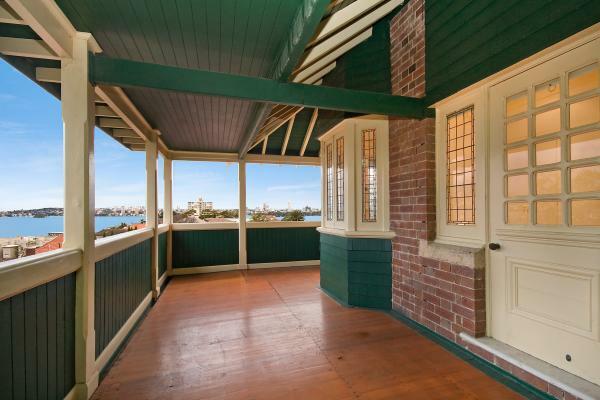 “A pretty little nest that has long been admired at Kurraba Point, Neutral Bay, has a cobbled stone chimney and other cobbled features”. The Cobbles was designed by noted architects, Peddle and Thorp in 1918 as the home of S. G. Thorp himself. 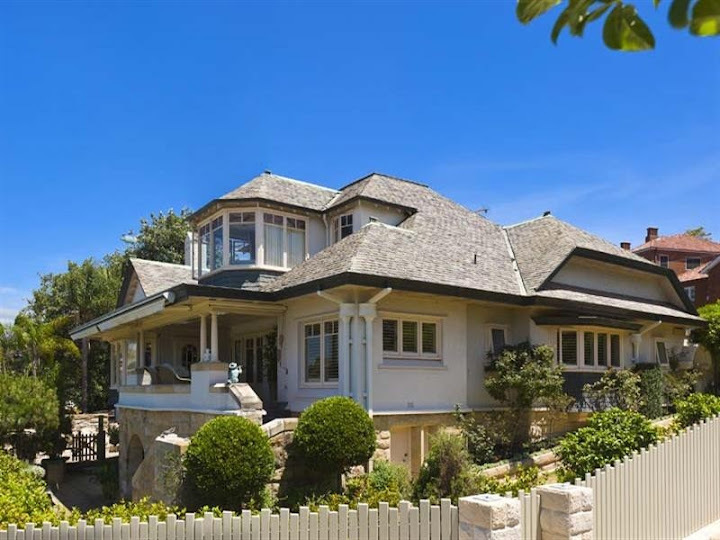 This house shows the influence of Greene and Greene houses in California, which often employed cobblestones as in this Shellcove Rd house. It is a low scale house, using natural materials such as the cobblestones mortared together on the outside of the tapering chimney and has exposed structural roof timbers and sits on a terraced garden slope. “The Cobbles is an excellent example of the Californian Bungalow and undoubtedly owes much to the architect James Peddle’s period of practice in California. It shows the Australian substitution of brick for the original timber structures of the Greene Brothers in Pasadena, but reveals a close appraisal of their work in its concern with hand craftsmanship, expression of roof timbers and use of natural materials. As an early prototype of the Californian Bungalow idiom it is a sensitive, charming but unhappily unique expression of this popular but abused housing form of the twenties. The house is set on a terraced garden slope, meeting the landscape in a paved forecourt. Its lines are low scaled and intimate, massing is simple with shallow terra cotta shingled roof planes intersecting over a jutting bay. Built of liver bricks, random glazed headers, rough sawn boarding and leaded windows with glass roundels, lend an air of domestic rusticity. The Arts and Crafts origin of th style is seen in the exposed structural roof timbers, the hand-made glass and front door fittings of hand-wrought metal. A battered cobblestone chimney symptomatic of the idiom, gives the house its name. The interior appears to be original. The main room is characteristically fitted with simple dado panelling and brown tiled fire surround with adjacent built-in bookshelf. Additions to the rear of house have retained the original character. 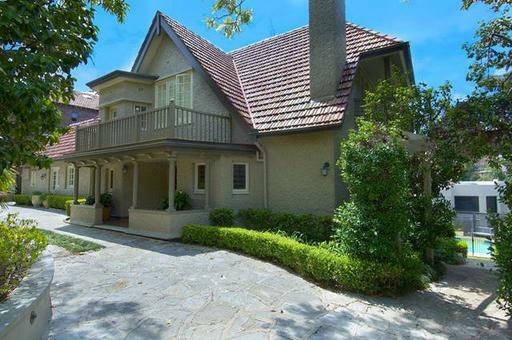 Oldest surviving house in this part of Neutral Bay. 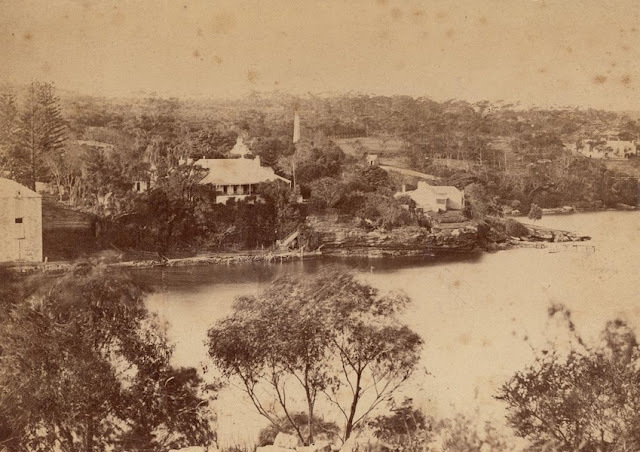 Built by Architect, Francis H. Grundy in 1858, which at that time was located in an isolated position at the head of Shell Cove and the nearest houses were Shelcote and The Monastery, closer to the tip of Kurraba Point. “A single storey ashlar stone house with attic rooms to steep-pitched slate clad gable roofs. 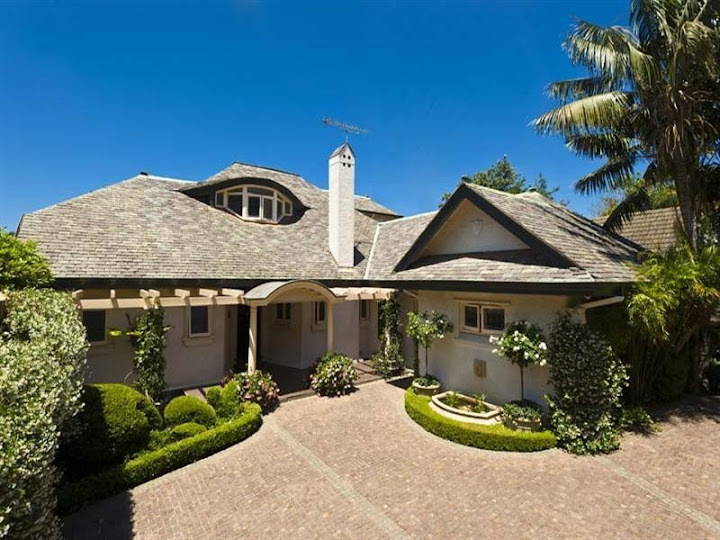 Corrugated – iron verandah roofs are carried on classical columns, decorative timber bargeboards and tall stone chimneys are featured. 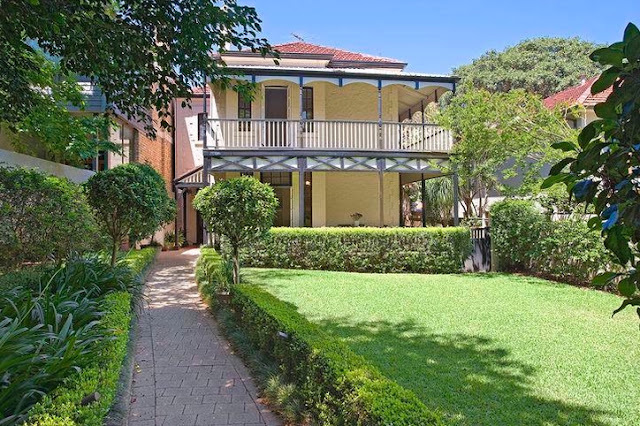 This building is designed in the Victorian Rustic Gothic style, one of a collection of picturesque Gothic harbourside mansions of the mid-nineteenth century. The first house in its vicinity and one of the first residential developments of the grant to Alfred Thrupp. Associated with a number of prominent colonial bureaucrats of the mid-nineteenth century. One of the earliest surviving houses on the northshore. From 1864 to his death in 1889 Honda was the home of William C. Bennett, Commissioner for Roads and Bridges. His daughter, Agnes, born here in 1872, was the second woman to gain a science degree at Sydney University. “House subsequently acquired by E O Moriarty, prominent in the Harbours and Rivers Department in 1862, followed by a solicitor, Mr Shepherd in 1864 and in 1865, the property was purchased by W C Bennett, Commissioner for Roads and Bridges. The house was enlarged and the family renamed till 1889. The house has been extensively refurbished during 1991 and 1992. 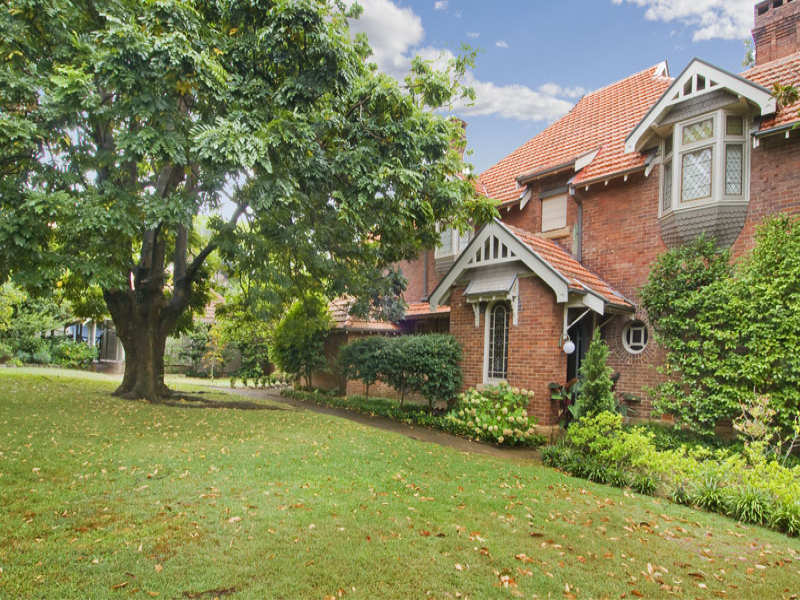 A single storey brick house with hipped gabled roof of terracotta tiles. It has a prominent two level octagonal tower with timber shingled octagonal faceted conical roof, the upper level of which appears to be an addition. This building is designed in the Federation Queen Anne style. Nestled in an exclusive whisper quiet harbourside pocket within a comfortable five minute stroll to Hayes Street Wharf, this early 1900’s character residence has been transformed into a sumptuous family retreat. Wrapped in 639sqm of level child friendly lawns framed by tranquil gardens that form a dense natural privacy screen, it boasts a sparkling pool and tranquil entertainers’ patio drenched in northerly sunlight and views to the North Sydney skyline. was another Waterhouse design and was built after 1920. 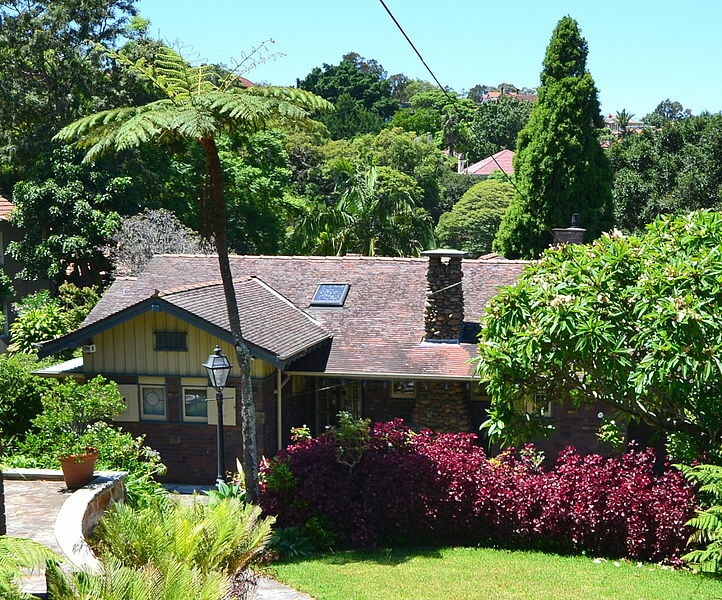 The Gables is a particularly fine Federation Arts and crafts bungalow designed in 1921 by and for well-known architect B. J. Waterhouse and his family. They lived here for 12 years and sold the house in 1933. More Waterhouse designs appeared in Shellcove Road in the vicinity of The Cobbles and Brent Knowle. 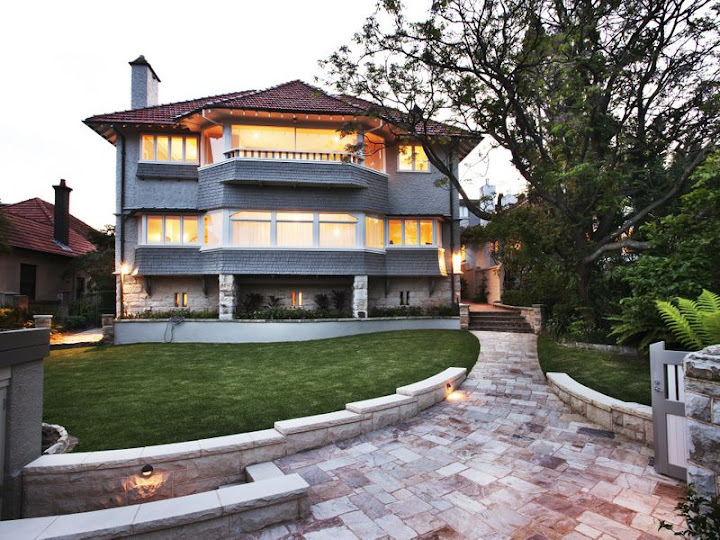 “Grand proportions and elegant style“, this gracious Federation home is one of Neutral Bay’s landmark properties. The interior details are beautiful and deserve to be widely appreciated.